While I enjoyed programming in Python to complete the Juicy Ideas Website on AppEngine, I am really looking forward to trying Java out on Google's cloud computing platform. 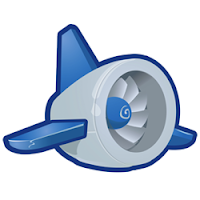 It was one of the most requested languages to be supported in the AppEngine forums. It will be really nice to test the real power of AppEngine with one of my primary languages. It is just much easier when you know all of ins and out and details of the beast you are trying to tame. Java on AppEngine should be announced officially very soon, even before the May Google I/O event. One of the things that I will be most interested in seeing is what libraries will be available to the developer. The available Python are very restricted and controlled and I am hoping that we do not see the same for Java, but I am guessing we will. There are so many utility jar files, such as Xalan and Xerces, all the Apache Commons libraries, and scores of projects on SourceForge. Will GAE allow me to deploy a WAR file with everything that I need in it? That would definitely be nice. The other fun topic will be the mapping to BigTable. I am looking foward to seeing how that is going to work. The excitement builds.... what do you hope to see?